Pregnancy, high heel shoes, court shoes. Does this sound familiar is it any wonder women have so many foot problems. Yes high heels do look great so do all the fashion shoes, you should not stop wearing them altogether but you should give your feet a well deserved rest every now and then. If you are constantly wearing shoes like this have you had your feet checked by a Podiatrist ? At Brighton Podiatry we understand women’s feet, it is well worth while having your feet professionally assessed to ensure that they continue to be as pain free as possible. Women’s feet would have to be one of the most abused parts of the human body (in both males and females). If you have just become pregnant it is also well worth while to have your feet assessed as your body is constantly changing during pregnancy. As you body changes so to do your feet, as the hormone levels in your body change to get you ready for childbirth your feet tend to flatten out. These sort of changes can cause problems which will often become life long problems so it is well worth letting us check your feet in your first trimester of your pregnancy to ensure that your feet will continue to be pain free and serve you well. 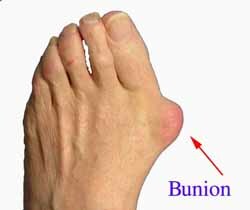 Many women suffer from bunions this is another big problem with women’s feet bunions often develop slowly however as time goes by they can become more and more painful and debilitating. If there is a history of bunions in your family, or if you feel that the structure of your foot is changing then you would be well advised to have your feet assessed. Attached a short flash video that serves to illustrate the sort of changes that can occur over 30 years of abuse that a women’s feet can be subjected to. It is well worth thinking about if you have any concerns then do yourself a favour have your feet professionally checked by a Podiatrist.